Say the word Bridgestone and most people think of car tyres. Less well known is the fact that Shojiro Ishibashi, the founder of the world-famous company, also built up one of Japan’s largest private collections of modern Japanese and Western art during a few short years on either side of World War II. 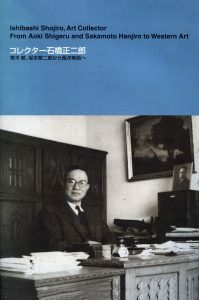 Created to accompany a 2002 exhibition marking the fiftieth anniversary of the Bridgestone Museum of Art in Tokyo, this book provides an overview of Ishibashi’s life, a detailed account of the formation of his collection, and a variety of interesting biographical material including photographs not only of his artworks, but of his magnificent private residences.